Young business? Growing business? Rapidly expanding business? You are new into your business journey, with a likely turnover of less than £150k and an aspiration to grow? You’ve taken the plunge, left corporate life and everything is rosy. Or is it? Whilst it’s great being your own boss, it’s not so great not getting a paycheck at the end of each month. So, whilst you are working very hard to put food on the table for the family, you’ve got to keep your records up-to-date and make sure your financial affairs are in order. This is where we come in. We will give you that initial piece of mind that we will keep you legal with your tax and accounts. We’re even at the end of the phone if you have some queries, such as what can I take out as dividends. That’s all part of the service. We’ll get you set up with an award-winning accounts software which will become the cornerstone of your business’s systems and processes. 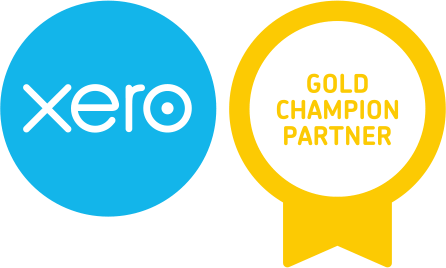 Don’t worry if you are not technically minded, we will give you training on Xero, and also introduce you to time-saving and automated tools such as Receipt Bank. We’ve got a great track record of helping young businesses grow into profitable and mature businesses, supported by us all the way. Why not let us help you on your journey? “My accountant isn’t proactive”- How many times have you said that? Or are you just fed up of your accountant working right up to the deadlines, and making their inefficiencies your problem? (We hate this too!) Or perhaps you are fed up of asking your accountant when they are going to support the likes of Xero and other cloud-based applications, to drastically reduce the amount of admin and manual data entry you need to do at the moment. Your business may be growing, but is it growing in the way you envisaged? Or are you glued to your laptop and working long hours? Is your ”significant other” complaining about never really seeing you? And let’s not go into the state of your golf handicap. This is where we come in. We will remove your accounting, bookkeeping and tax burden off your shoulders. After all, there are always better things to be done than your ”book’s”. Plus, we get a perverse delight in making sure that everything reconciles neatly! Every quarter we will give an estimation of what you can take out in dividends, we will work with you at the end of the year to legally and ethically bring down your Corporation Tax bill. You are growing rapidly and need the voice of experience to help you get through the growing pains with an intact and profitable business. Have you been told that too much business is a nice problem to have? – We respectfully disagree. Running hot (as we know from personal experience) is a painful situation which can leave you stressed and burnt out. Growing rapidly means you need to add in more controls, more review and planning time, and an obsession with your key numbers. If you can recognise your business in this description you probably need our Rapidly Growing Business service. Growing rapidly means you need to add in more controls to the business, more review and planning time. You need to be obsessed with your key numbers – costs, debtors, cashflow. Having worked with many businesses that have experienced rapid growth including our 1 Accounts, we know exactly what you are going through. Our experienced team is here to guide and support you through the next phase of the evolution of your business. We can be your trusted advisers, a sounding board for your ideas and even a strong shoulder to cry on, which is sometimes required when you are on this roller-coaster! We will ensure you avoid the cash flow “crunch” and maintain control of your operational efficiency. The ability to collaborate and share information is becoming increasingly more important in all aspects of business. As your reliable Accounting partner we will report to you monthly regarding business performance, tax planning and Dividends. We’re right behind you and are available to help and support you as and when you need advice for your rapid growth business. Our optional financial Director service ensures your board of directors are kept fully informed of company performance and, given the right advice at the right time to make sure you stay on track. “A very good company to deal with! They handle everything for me from management of Sage software to Tax returns and VAT; invaluable for someone like me – the ‘small business’ owner!